The new version of Photoshop will be released soon. Among the new things, Photoshop CS4 will support the GPU acceleration. But this hardware acceleration will be limited to canvas rotating and zooming. 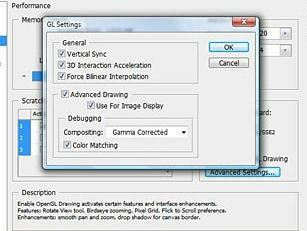 Photoshop CS4 GPU acceleration will use OpenGL and will require a graphics card with at least 128Mb of graphics memory.